Years ago WebARX founders were running a digital agency – offering web development and web design services. But in time as the cyber-world changed we had to adapt to the changes and moved further from web development and web design to web security. Now we would like to share our knowledge on web development tools and web design in resources we used and will give you the best time-saving tips for web agencies we know. Working with a web design or development team the constant communication is a must-have. We have used Slack for many years now. This had resulted in fast and good communication and we agree with Slack that it completely replaces the need to email each-other inside the team. Slack is mostly built for teams, but it can be also beneficial for individuals for making notes, pasting code or designs. Like Slack itself says: “Slack is where work happens. It’s a digital workspace that powers your organization — all the pieces and the people — so you can get things done. ” And we couldn’t agree more. 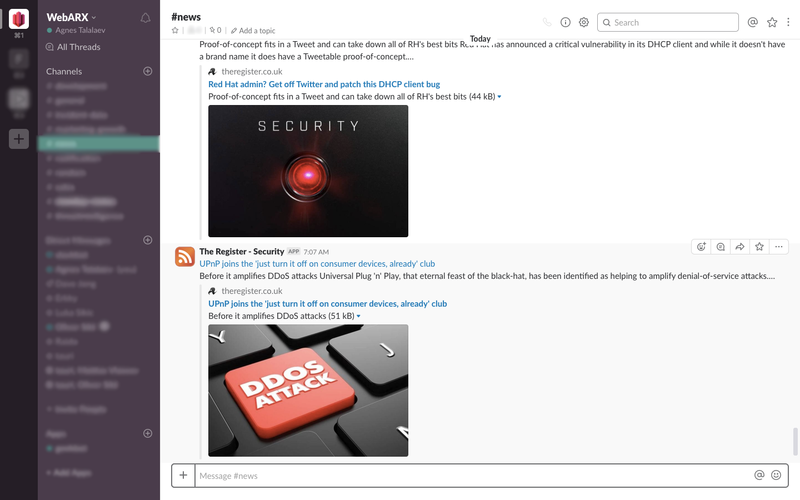 Of course, there has to be a #random channel in Slack to share some laughs. A big competitor for Slack is Stride from Atlassian. It has the same structure as Slack and it’s good-looking, clean and simple. But due to the lack of integration opportunities for us, we needed to turn to Slack. We have tried both Trello and Asana for task management and project management. After a while, we understood whats best for us and thus stayed with Trello. The main reason was that Trello UI is so simple and minimalistic. Overall it has everything to manage a project (attachments, assignments, scheduling, prioritizing.) 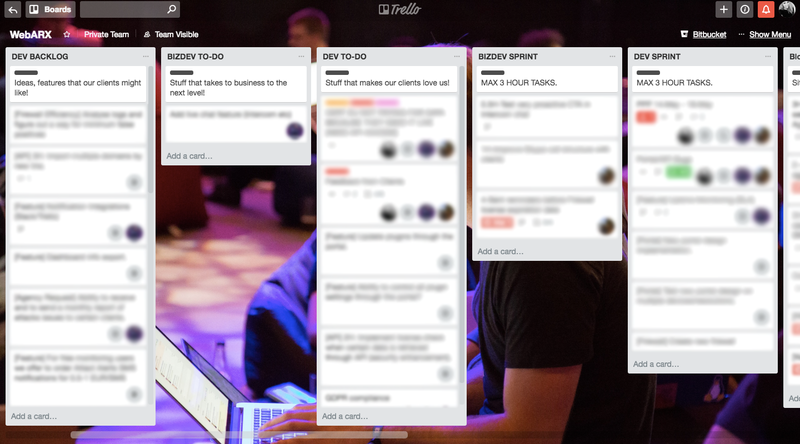 Trello is good for teams and even for individuals (freelancers for example). We have different boards for different tasks (sprint, backlog, memos for scrum meetings, etc.) But it’s most efficient if you make a board for different tasks for example for marketing, front-end, and back-end. You can list do-to, backlog and done tasks and even make them pop out by using different labels and colors. For designing the websites we’ll strongly recommend Sketch. Even if you have been using Photoshop for years, the time to learn Sketch will never be longer than the time spent on learning Photoshop. The disadvantage for Sketch it that it’s only for Mac users and you can not do any photo corrections. There still are an immense amount of advantages – the extensions, constant updates, everything is in vector and it’s cheaper. There’s a good infographic on the pros and cons of both of them here. We also wanted to share some good examples in UI design. It’s the easiest and simplest resource if you want to make sure the UI on the website you are designing is on point. It will give you bad examples and good examples and is extremely useful for the beginners in UI design – take a look at GoodUI. With the help of such resources, you can easily ‘copy’ the good practices without spending a lot of time on figuring them out by yourself. One of the greatest productivity hacks that we believe there is, is actually the simplest of them. Before starting a new project take it down into very small pieces. This will make you feel you have accomplished something already and it will give you the motivation to continue the workflow. For the agencies who will stay responsible for the websites they have developed, the crucial part of saving time is the management of all these sites. When we were an agency and we saw the size of the problem of hacked sites on the web and started providing malware clean-up services in addition to development. After that, we started to shift to web security by notifying the hacked website owners and just manually cleaned the sites (made by other agencies) that got hacked. Meanwhile, we were trying to find a solution that will do some of the work for us and thus found a way to save a bunch of time. Risk management is extremely important in web development and eliminating the risk of downtime, website defacement of malware – the right step is to secure the websites before they go live. For that take a look here. It may look that prototyping takes a lot of time away from the development process, but actually, it makes it two times more productive and easy. Once you have all your UI/UX planned you will have to just transform into the web. We would recommend UI Stencils and there’s a good article about wireframes here. Graphic Burger has a huge library of great mockups. Most of the mockups are free and the range of everything from iPhones to t-shirts and bottles. Mockupworld has a large collection of free and premium mockups that you can use to create everything from hero images to product pages. Most of the mockups are really high quality but come in PSD so you’ll need a general understanding of photo editing. Here and here you can find some good resources for free good quality photos. 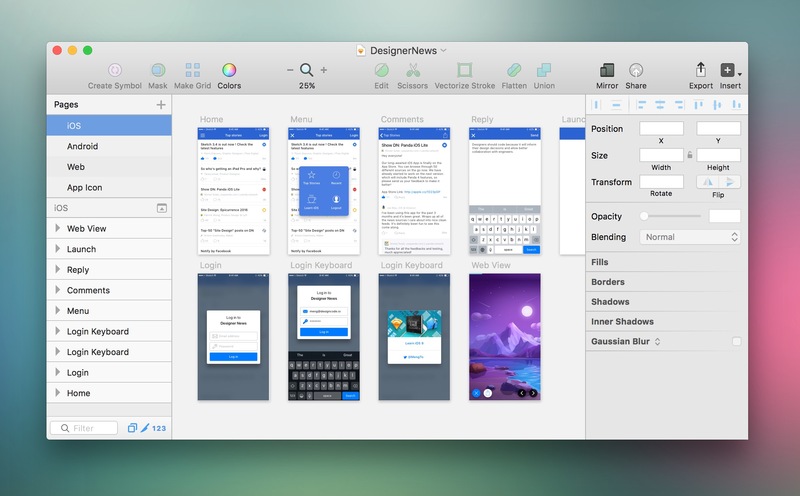 For Sketch users – Sketch Repo and for inspiration Dribbble. And our biggest favourite is this: 800+ tools for entrepreneurs. GDPR: What is at stake for website owners? How to grow your web agency in 2018? Protect your websites from malicious traffic - No credit card required.